As a Finance professional, how often have you heard this from one of your business colleagues? I’m going to guess pretty frequently. One of the biggest complaints I hear from finance business partners is that they don’t have time to work on the all-important decisions in the business. But what’s keeping everyone so busy? The answer often lies in Monkeys. Have you ever counted how many times you or your finance team have walked out of business meetings with most of the actions? With the Monkey on your back? “I think we need more data on this topic. Are you sure those numbers are right? Any of these should ring loud alarm bells in your head…and whatever you do next, DON’T LEAVE THE ROOM! Does the business leader really need any more data, or are they just avoiding taking the decision? All too often, Finance teams are sent off in search of gathering further data which probably won’t affect the final decision. The current data is often more than sufficient to indicate what the next step should be, with the exception of a few extra details to finalise the small print. The trouble is it’s very easy for business leaders to simply pass the buck back to Finance, and so the vicious cycle continues. 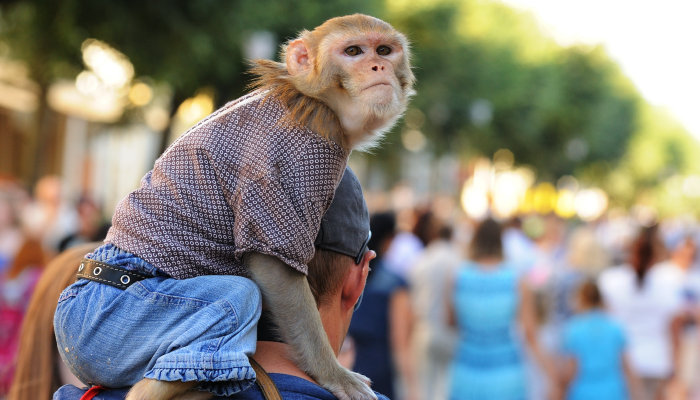 So how can you make sure you don’t leave your next meeting with yet another Monkey on your back? Stay in the Room. Focus on the materiality of the decision to be made and the accuracy of data that’s needed to make that particular decision. The chances are you already have all the information needed to make a decision, and if you push back (constructively) and help business leaders to take the decision, you’ll be respected a whole lot more. Give the monkey to the business leader to take a decision or an action and you’ll be amazed at how much time this can free up. You will also have the opportunity to be involved in more valuable business partnering activities, simply by changing the conversation. How often do you or your teams walk out with the Monkey on your backs to go and do more analysis that’s simply not needed? How can you teach your finance teams to STAY IN THE ROOM and drive for the business decisions more often? This process of ‘Caring and Feeding the Monkeys’ was described in a classic 1999 article for Harvard Business Review called ‘Management Time: Who’s got the Monkey?’ which makes for great reading if this article has touched a nerve. 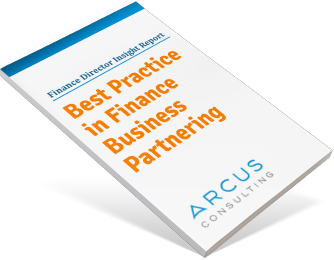 Arcus was able to unravel what the real cost drivers of the business-supporting finance team are and shine a light on those areas.